Pride Montreal has launched a monthly panel series to cover topics such as asexuality, queer people in politics, LGBTQ families, pansexuality, and more, according to founding president Eric Pineault. The first panel, which took place Jan. 31 and was hosted by Hélène Beaupré of the Centre for Gender Advocacy, attracted over 100 people including Julie Miville Dechêne, envoy for human rights and freedoms at the Ministère des Relations internationales et de la Francophonie. It addressed the struggles intersex people face. The panels are free and take place at the St-Pierre Centre in the Gay Village. There are five panels planned until Pride’s summer festivities this August. According to community organizer Marie-Philippe Drouin, the goal of these panels is to give visibility to communities who don’t get much, for the public both within and outside of the LGBTQ+ community to have a better understanding of the different realities different groups face, and solidarity between all the communities that fall under the LGBTQ+ acronym. “Tonight we saw that there’s a real need, it’s important, and people want [the panels],” they said at the panel last Wednesday. 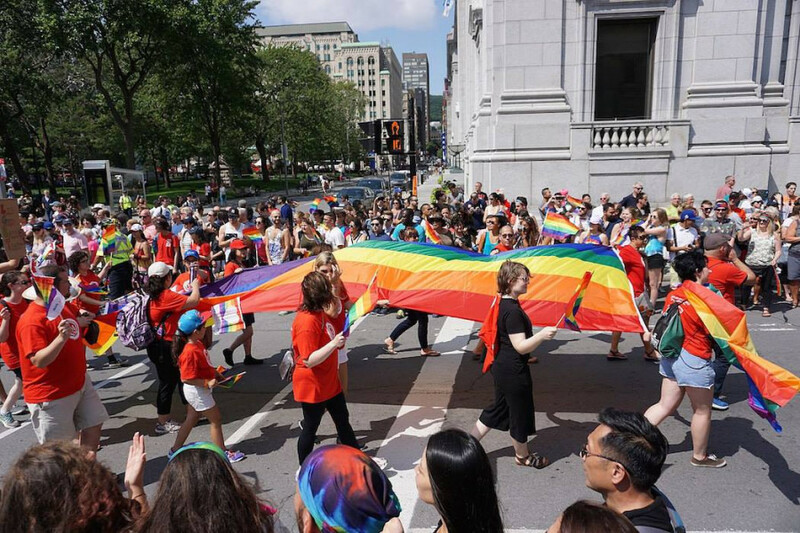 During last year’s Pride Montreal festivities in August, organizers saw that some communities have a strong need to speak of their own realities and start a conversation. Pride is giving a platform to the community to address these issues in front of a larger public by having these panels. “These topics aren’t widely discussed, so it’s very important that we bring something new and educate people,” said Pineault. He added that Pride is simply putting things in place so those who specialize in these areas can share their message. Pride is hoping to keep hosting these panels for as long as possible, with four to six every year, said Pineault.